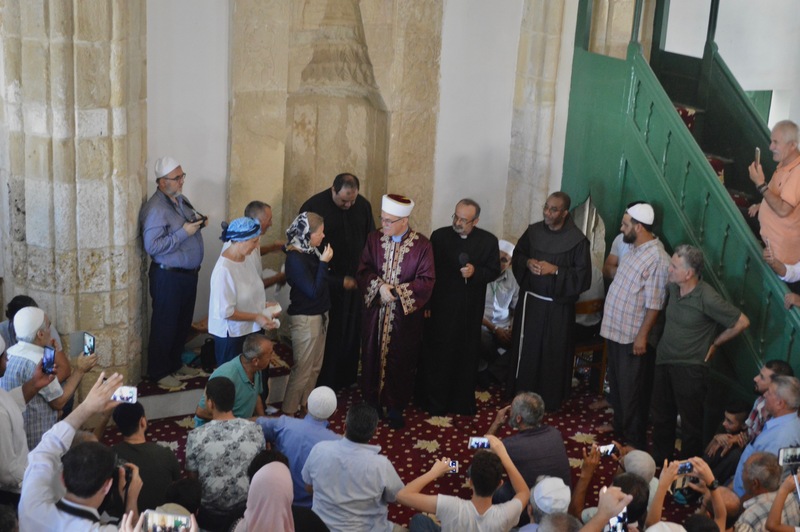 On the occasion of the Eid al-Fitr 2018 a special pilgrimage to Hala Sultan Tekke took place on Wednesday, 20 June where 860 faithful of Turkish origin were granted access to attend Bayram prayers at the most well known and revered mosque in Cyprus. 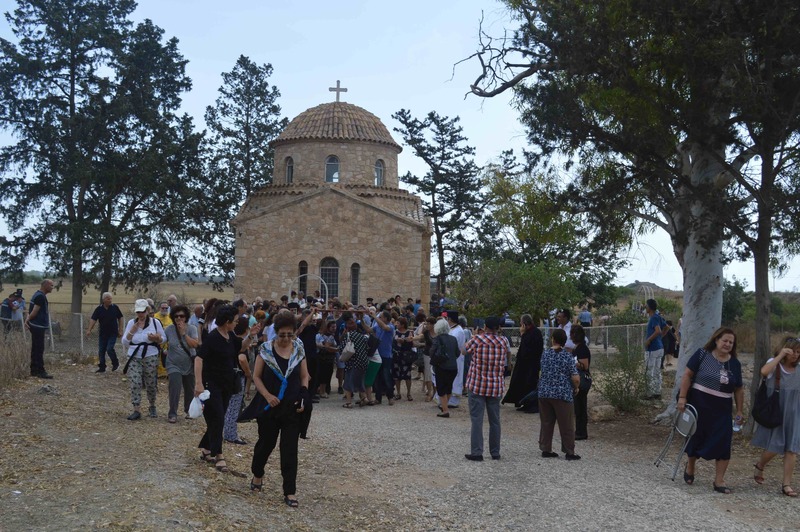 The pilgrimage was the 12th since the unprecedented agreement between the religious leaders of Cyprus, namely H.B. Archbishop Chrysostomos II of the Church of Cyprus and the Mufti of Cyprus H.E. Dr Talip Atalay reached in 2014 within the framework of the Religious Track of the Cyprus Peace Process under the Auspices of the Embassy of Sweden (RTCYPP). 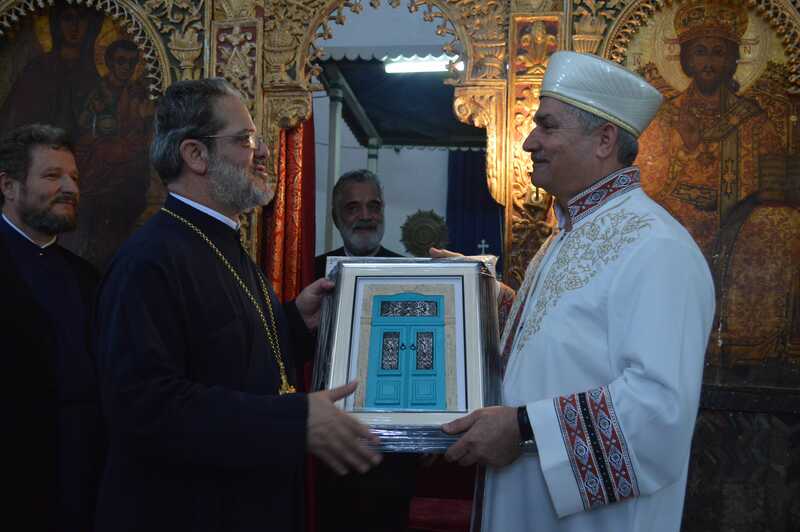 Representatives of the religious leaders from the Church of Cyprus, the Armenian Orthodox Church of Cyprus, the Maronite Church of Cyprus and the Latin Patriarchal Vicar were present at Hala Sultan Tekke to bring fraternal greetings on the occasion of Ramazan Bayram. Witnessing the special pilgrimage was the Ambassador of Sweden, H.E. Mrs. Anna Olsson Vrang under whose auspices the Religious Track is facilitated. The Ambassador of Sweden expressed her congratulations to the Mufti and all Muslims living in Cyprus for this auspicious occasion and welcomed the continued close cooperation and warm relations of all the religious leaders of Cyprus. “Upholding religious freedom together, continuing your support for each other, working together as one shows leadership and courage in a divided country. 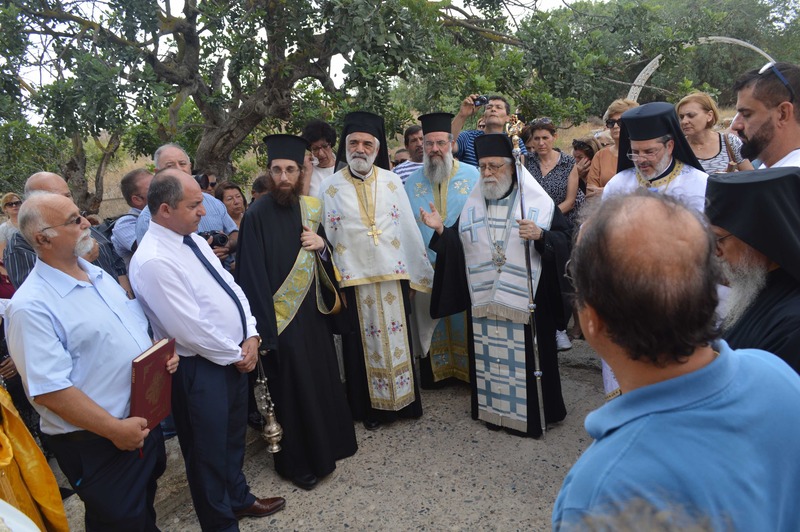 Your actions are strong witnesses for hope and inspirations for others to follow,“ stated Ambassador Olsson Vrang in greeting the religious leaders of Cyprus. Welcomed by the Mufti of Cyprus, the Christian religious leaders voiced messages of peace and solidarity to all Muslims living in Cyprus and their commitment for continued cooperation and dialogue. Sensing the pilgrims’ excitement and appreciation for the special pilgrimage, the religious leaders expressed their own happiness for having had the opportunity to contribute to the day’s events and ongoing efforts that strengthen religious freedom across the entire island. The three annual special pilgrimages for Ramazan Bayram/Eid al-Fitr, Qurban Bayram/Eid al-Adha and Mevlid/Mawlid al-Nabi are facilitated within the framework of the Religious Track with the support of H.B. Archbishop Chrysostomos II and all other Christian religious leaders of Cyprus. 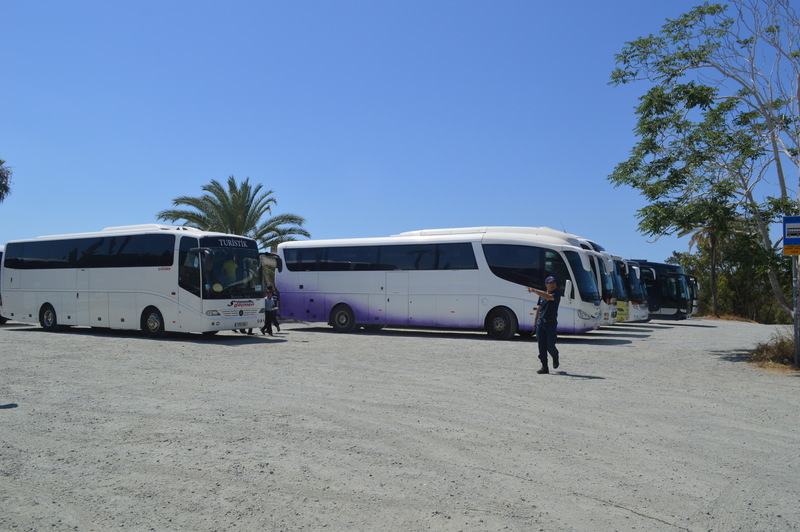 They are organised by the Muftiate of Cyprus and coordinated by the Office of RTCTYPP with the full cooperation of the state authorities, UNFICYP and UN Police. The special pilgrimage of today had the approval of the Foreign Minister of the Republic of Cyprus, Mr. Nikos Christodoulides. Ramazan Bayram or Eid al-Fitr marks the end of the Muslim holy month of Ramadan that takes place annually. Ramadan is the ninth month of the Islamic calendar, and is observed by Muslims worldwide as a month of fasting to commemorate the first revelation of the Quran, the Muslim holy book, to Prophet Muhammad according to Islamic belief. For 30 days, followers of Islam pray, fast and refrain from bad behaviour and impure thoughts. Fasting and focusing on prayer and charity during Ramadan is meant to purify the body and spirit and bring the faithful closer to God; fasting during the month is also one of the five pillars of Islam. On 11 June 2018, Reverend Father Ioannis Ioannou of Saint Barnabas and Greek Orthodox pilgrims taking part in the Feast of Apostle Barnabas were joined by Imam Fuat Tosun representing the Mufti of Cyprus. Saint Barnabas is the founding Apostle of the Church of Cyprus. 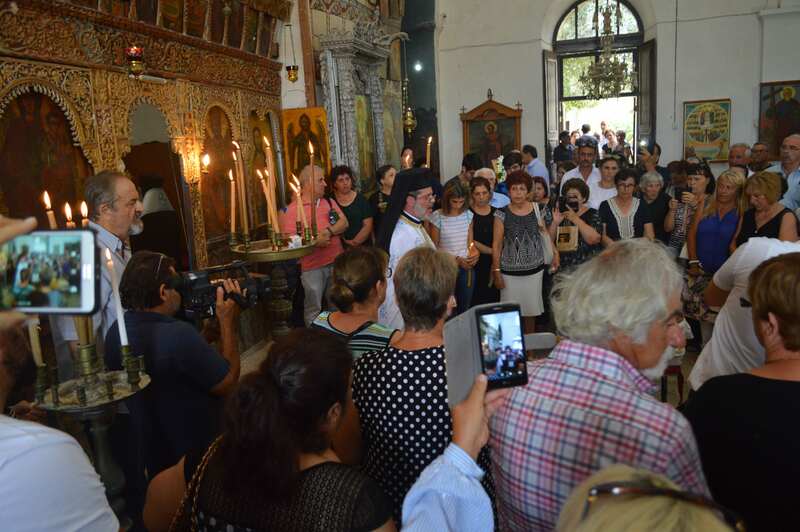 Hundreds of Greek Orthodox Christian faithful commemorated the day at the Monastery and Cathedral of Saint Barnabas near Salamis, Famagusta. 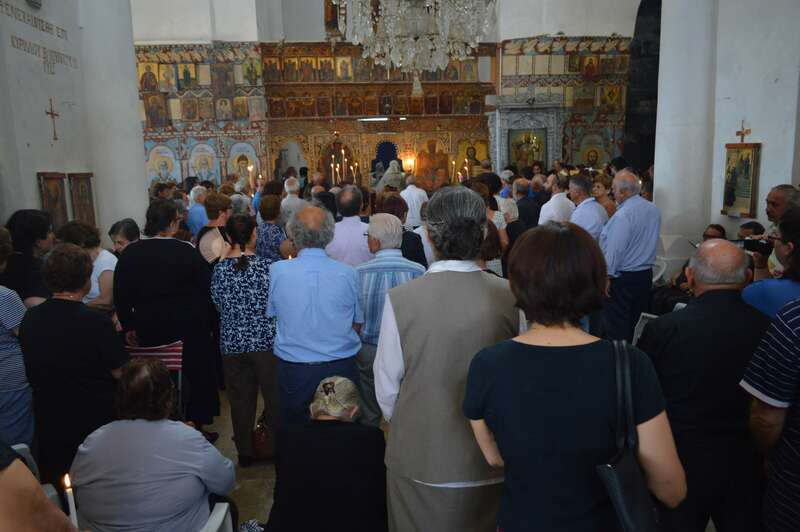 Showing her appreciation to the joint efforts of the religious leaders of Cyprus and their commitment to dialogue, H.E Ambassador of Sweden Ms. Anna Olsson Vrang joined the liturgy to witness the good will gesture of the religious leaders and celebrate the occasion. 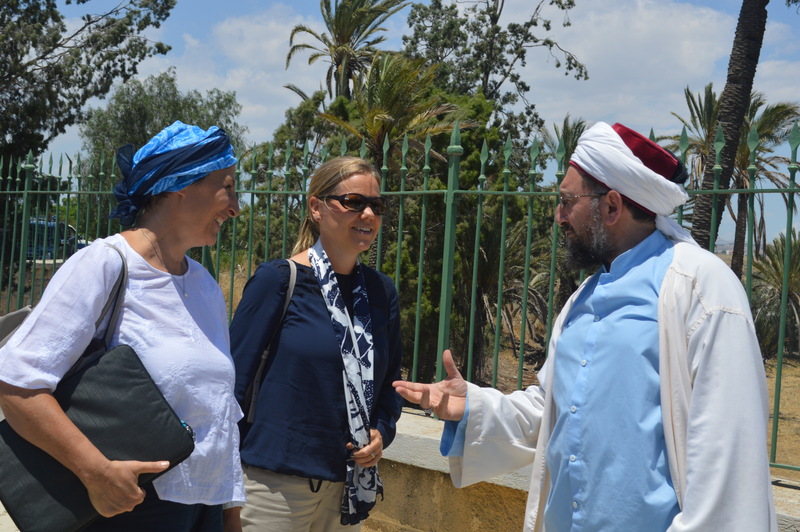 As the peacebuilding initiative of the religious leaders of Cyprus, known as the RTCYPP functions under the auspices of the Embassy of Sweden, her presence was warmly welcomed and greatly appreciated by all parties. The celebration began with a divine liturgy in the main Cathedral and culminated with prayers at the site of the tomb of Apostle Barnabas. Imam Tosun and the rest of the RTCYPP delegation were received with enthusiasm by the clerics of the Greek Orthodox Church of Cyprus. 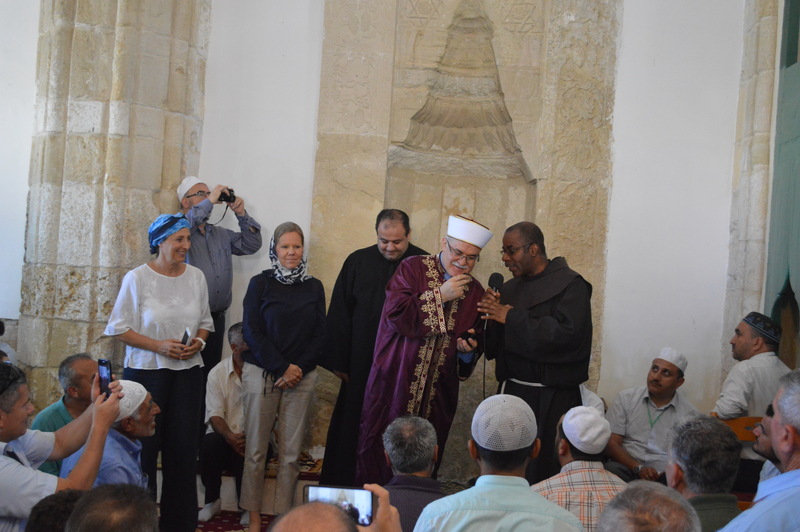 “This is the kind of leadership we want”, exclaimed one of the older pilgrims when greeting the religious leaders, “The presence of the Mufti’s representative fills our hearts with hope that our faith unites us even if we are different and we care for each other’s rights”. 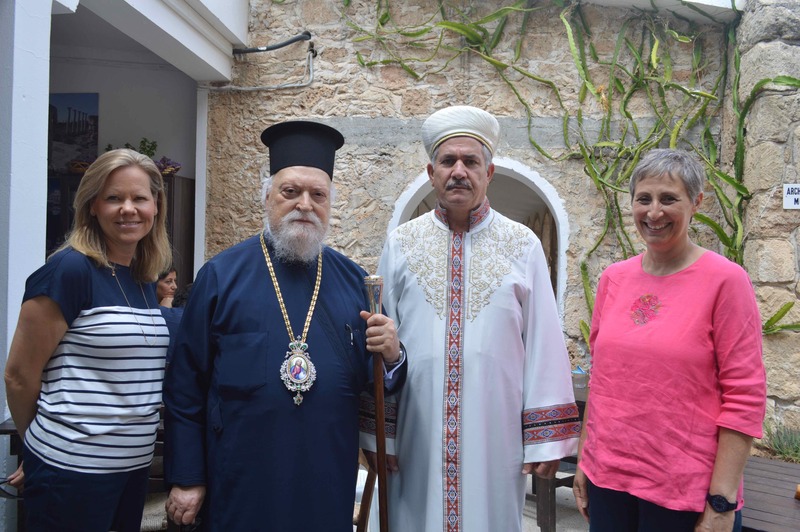 Together Father Ioannis and Imam Fuat thanked the Swedish Ambassador for honoring them with her presence and for Sweden’s unwavering support to the Office of RTCYPP and the peacebuilding efforts of the faith communities in Cyprus. They both affirmed to continue to build bridges of communication, cooperation to restore religious freedom all over the island and nurture reconciliation. 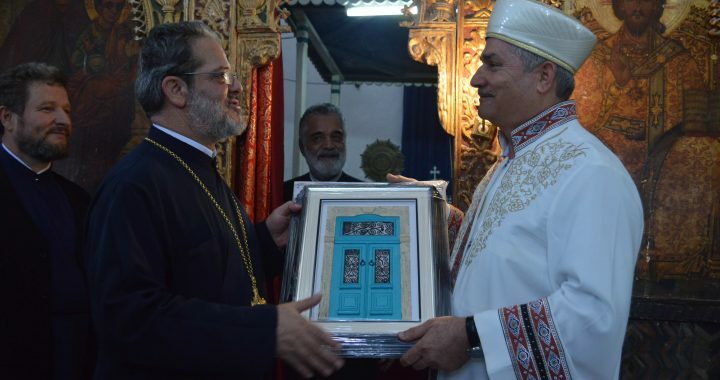 The goodwill gestures and meetings of the religious leadership of Cyprus at Christian and Muslim places of worship is a result of agreements within the framework of the Religious Track and is facilitated by the Office of RTCYPP. 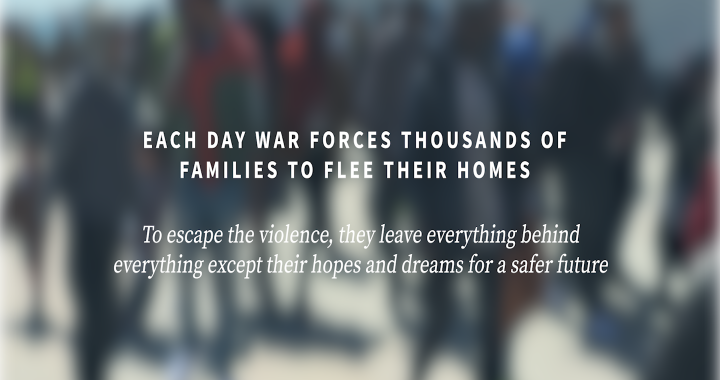 “Religion and religious leaders can and should play a positive role in a conflict.” Said Salpy Eskidjian, Executive Director of the Office of RTCYPP. 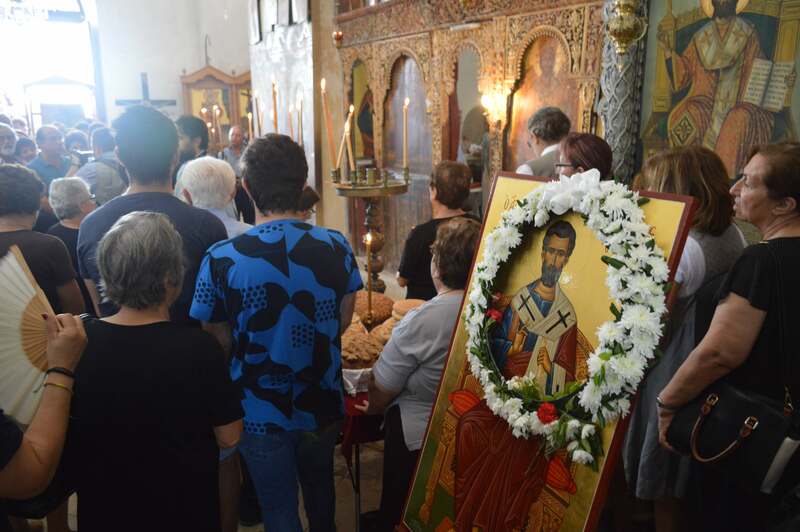 “The regular pilgrimages to St Barnabas and Hala Sultan for hundreds of faithful who were not able to visit religious sites for worship due to the political situation in Cyprus are among the achievements of the Religious Leaders of Cyprus upholding a fundamental freedom”. The Saint Barnabas monastery consists of a church, the Cathedral of Saint Barnabas, now serving as an icon museum, the monastery, now housing an archaeological collection, and a chapel housing the remains of the Saint. Since 2016 prayers take place monthly at the chapel and there are regular worship services at the Cathedral, led by the Dean. Apostle Barnabas was born in Cyprus and was stoned to death in Salamis in 45 AD. He is described as 'a good man, full of the Holy Spirit and of faith' (Acts 6:24). Barnabas, means 'son of consolation' or 'man of encouragement.' Although Barnabas was not among the original Twelve Apostles, he is traditionally thought to have been among the 72 commissioned by Jesus to preach; thus, he is given the honorary title of Apostle. He is considered the founder of the Church of Cyprus. 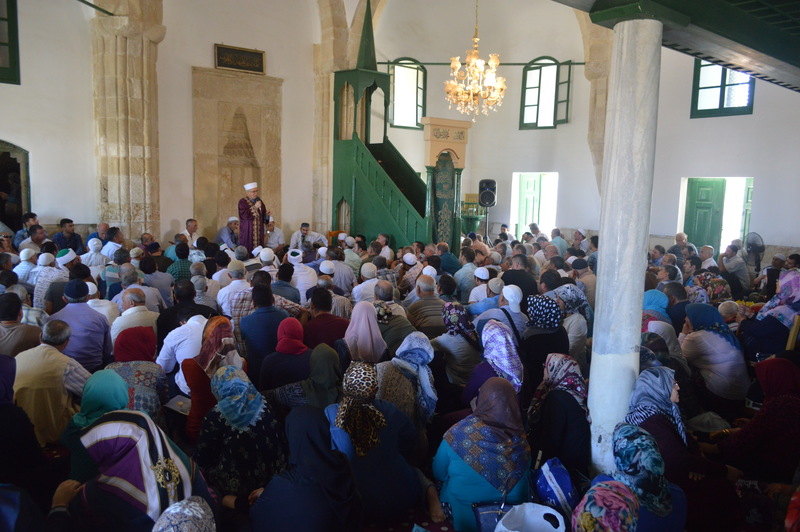 On the occasion of Ramadan, Mufti of Cyprus, Dr Talip Atalay and his delegation, together with the Director of the Office of the RTCYPP joined the Muslim community living in Paphos and were warmly welcomed to an Iftar dinner at Aşağı Baf Masjid (Mesjid of Kato Paphos) on 7 June 2018. The Mufti and the facilitator had the opportunity to meet with the local Imam and community representatives, listen to their concerns and pray with the faithful present. 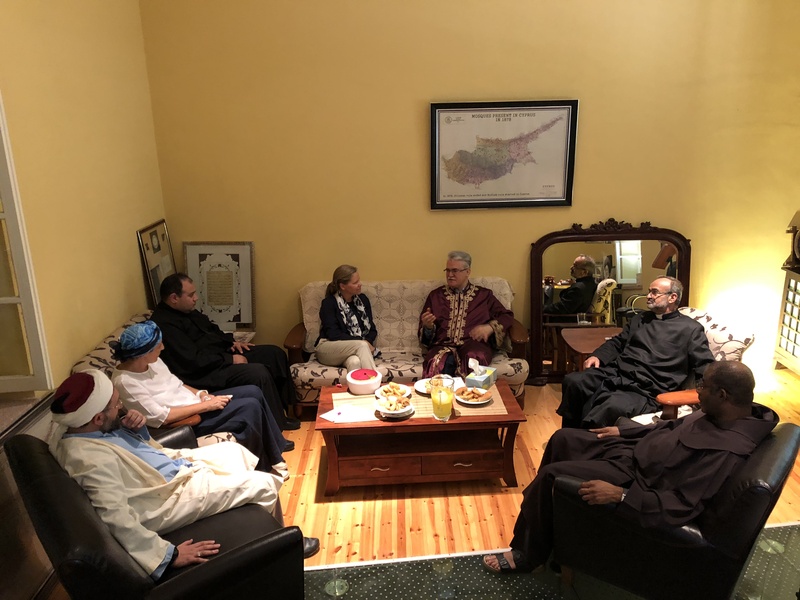 The Imam and community representatives thanked the RTCYPP, the Mufti of Cyprus and the Archbishop of the Greek Orthodox Church of Cyprus for all their efforts to address and improve the worship rights of the refugees, asylum seekers and migrants living in Paphos and together they discussed concrete ways forward. 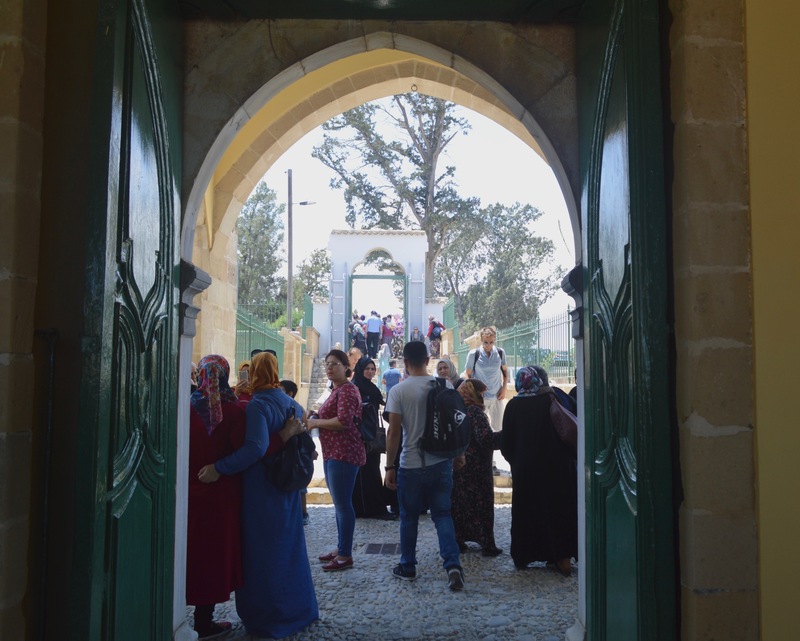 A representative of the Ministry of Communication and Works in Paphos was also on site to discuss the recent works taking place outside and around the Mosque and its effects on the worship and prayer life of the only open and functioning mosque in Paphos. 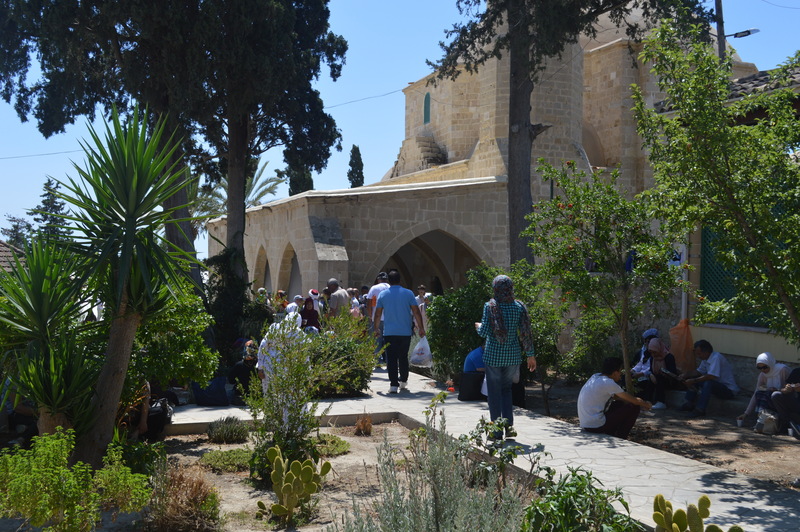 The local Muslim community living in Paphos praying at Kato Paphos Mesjid are mainly refugees, migrants and asylum seekers. 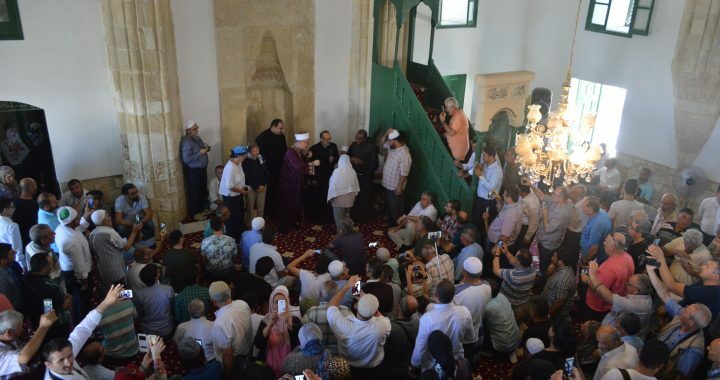 This is the first time in over 4 decades when the Mufti visits and prays with the Muslim faithful in Paphos during Ramadan. The meeting and visit was highly appreciated by all. All five religious leaders of Cyprus took part in today’s luncheon at the Archbishopric of the Church of Cyprus, hosted by His Beatitude Archbishop Chrysostomos II for the resident Ambassadors as well as the Special Representative of the Secretary General of the United Nations and the Representative of the European Commission. The gathering followed His Beatitude Archbishop Chrysostomos II’s invitation during the RTCYPP High-Level gathering with the diplomatic community at the Swedish Residence in March. The Ambassador of Sweden, Anna Olsson Vrang in thanking His Beatitude for his hospitality, said that today’s gathering took place in a “difficult moment for the peace process and the region”, but “the togetherness and continued dialogue among Cyprus’ religious leaders offers a beacon of hope”. The Ambassador stated her view that “Knowledge and experience from all over the world has shown that inter-religious dialogue is an instrument for conflict prevention” She expressed pride that in Cyprus through the efforts of the RTCYPP one can repeatedly witness the religious leaders standing up for each other’s needs and rights. “The religious leaders here have demonstrated that when there is trust, the setbacks which are unavoidable in any conflict, can rather be used as investments and learning for the future rather than being allowed to spoil the entire work.” Ambassador Olsson Vrang reiterated her government’s commitment to continue to support the facilitation of the RTCYPP. At the invitation of the Office of RTCYPP, the religious leaders of Cyprus had the opportunity to meet privately prior to the luncheon where they reiterated their commitment to jointly advocate for the respect of religious freedom and to work together for peace, forgiveness and reconciliation to serve all people of Cyprus irrespective of their faith and ethnic identity. 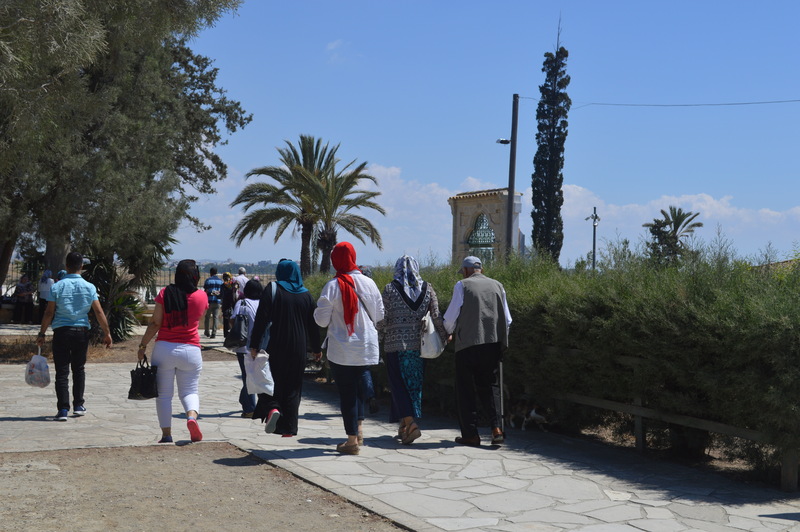 The religious leaders of Cyprus restated their conviction that respecting religious freedom as a human right would contribute to confidence and trust building and is a concrete measure for a sustainable peace building. The Stockholm Forum on Gender Equality is currently underway to mobilise governments, the private sector, civil society and academia from all over the world to intensify efforts for a gender equal world. The aim of the Forum is to find solutions, take new initiatives, and strengthen co-operation in the international fight for gender equality. Participants include government ministers, politicians, civil servants, activists, civil society actors, and academics from 100 countries. Top names from all over the world are invited to share experiences and best practices on a wide range of areas, including women’s political participation, women, peace and security, gender-based violence, women’s economic empowerment, sexual and reproductive health and rights, discriminatory legislation, humanitarian action, and climate change. The forum is organised by the Ministry for Foreign Affairs of Sweden and the Swedish Institute in a spirit of co-creation, using the strength and momentum of the UN Global Goals. The hosts of the Forum are Margot Wallström Minister for Foreign Affairs of Sweden, Isabella Lövin, Minister for International Development Cooperation and Climate, Ann Linde, Minister for EU Affairs and Trade and Annika Rembe, Director-General of the Swedish Institute. Salpy Eskidjian, Executive Director of the Office of RTCYPP and one of its architects, is attending the Forum to share her experiences as a mediator, peace-builder and human rights advocate, nominated by the Embassy of Sweden in Nicosia. 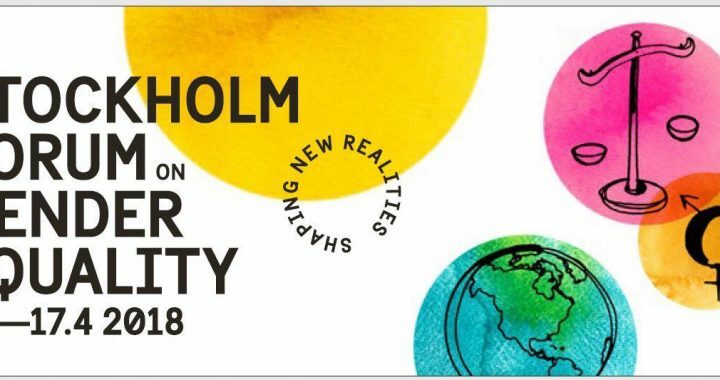 The Stockholm Forum on Gender Equality takes place in Stockholm, Sweden, from 15-17 April 2018. 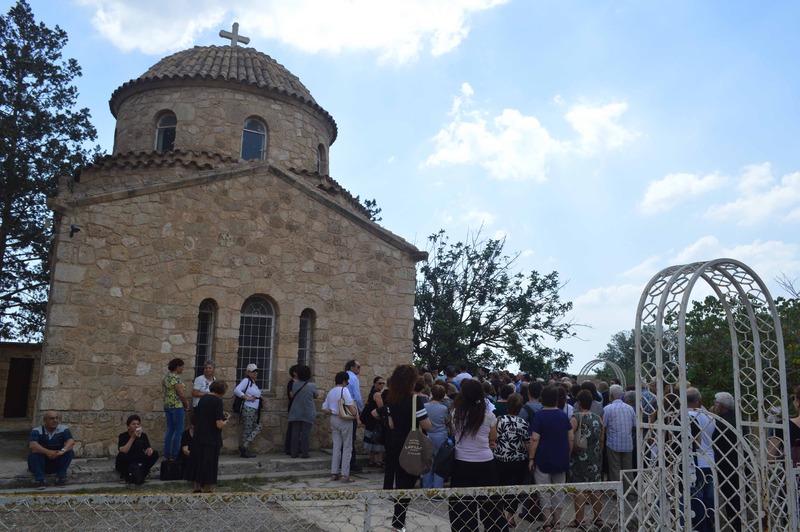 The Religious Track of the Cyprus Peace Process (RTCYPP) was one of the initiatives highlighted at the Nordic Interfaith Conference on Healing of Memories, where participants learnt about different approaches to deal with memories of violent conflict, in particular the role of people of different religions in reconciling with memories of war and trauma. Salpy Eskidjian, Executive Director of the Office of RTCYPP and one of the facilitators of the religious leaders of Cyprus’ dialogue was invited to share her experiences from Cyprus with the RTCYPP since 2009 and the inspiring story of the religious leaders of Cyprus committed to work together for human rights, peace and reconciliation held under the Auspices of the Embassy of Sweden in Nicosia. Other speakers included Father Michael Lapsley from South Africa, Imam Senaid Kobilica from Bosnia Herzegovina, Rabbi Goshen-Gottstein from Jerusalem, Imam Salahuddin Barakat and Rabbi Moshe David HaCohen living in Malmö, Sweden. Member of the Swedish Mediation Network recognizes the RTCYPP and expresses appreciation to the historic joint statement of the religious leaders of Cyprus condemning violence against women and girls. 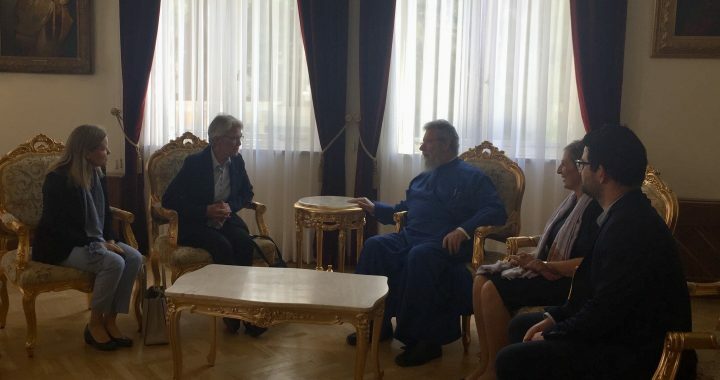 On March 8, 2018 Margareta Wahlström, an eminent member of Swedish Women’s Mediation Network met with H.B Archbishop Chrysostomos II and H.E Mufti Talip Atalay during her two day visit to Cyprus, on the occasion of International Women’s Day and had the opportunity to learn more about the Religious Track of the Cyprus Peace Process, a unique initiative in Cyprus, supported by the Ministry of Foreign Affairs of Sweden. Ms. Wahlström acknowledged the religious leaders for their cooperation, courage and constructive joint contribution to the peace process in Cyprus. She congratulated all the religious leaders of Cyprus, including the Armenian Orthodox, Maronite and Latin Catholic Churches for their uninterrupted dialogue for reconciliation since 2011 and their unprecedented joint peacebuilding efforts, upholding religious freedom. Ms Wahlström expressed special appreciation to the religious leaders for their recommitment and reaffirmation of their historic joint statement condemning violence against women and girls. Anna Olsson Vrang, Ambassador of Sweden and Salpy Eskidjian Weiderud, Director for the Office of RTCYPP accompanied Ms. Wahlström who also had the opportunity to briefly witness the status of a few Christian and Muslim monuments on the agenda of the RTCYPP. 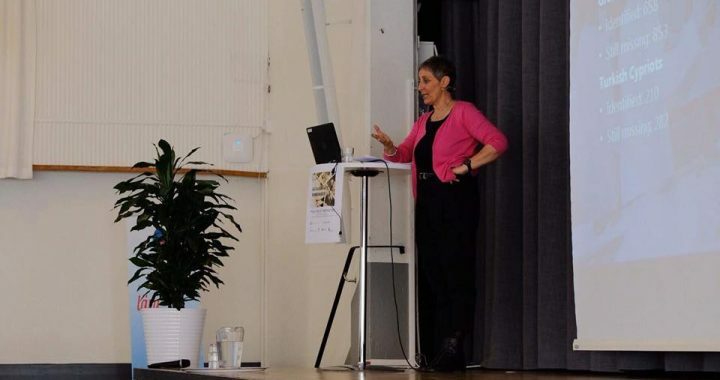 Ms. Wahlström was in Cyprus as a prominent guest of the Swedish Embassy in Cyprus and keynote speaker at the Embassy’s main event, marking 2018 International Women’s Day in Cyprus. Margareta Wahlström is the President of the Swedish Red Cross Society and former United Nations Special Representative for the Secretary General for Disaster Risk Reduction. Swedish Minister for Foreign Affairs, Margot Wallström initiated the Swedish Women’s Mediation Network in 2015 in response to the increasing challenges against peace and security worldwide. The aim of the network is to promote peaceful conflict resolution and actively support women’s meaningful participation in sustainable peace-making processes before, during and after conflict. Office of RTCYPP facilitated and organised the first visit of H.E. Archbishop Khoren to the Armenian Church of Sourp Asdvadzadzin, welcomed by with the Mufti of Cyprus, H.E. Dr Talip Atalay. 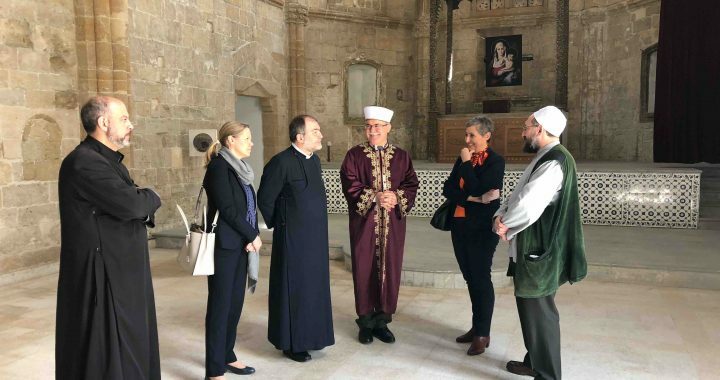 H.E Ambassador Olsson Vrang of Sweden joined the religious leaders to the Armenian Church, School and Prelature in the old neighbourhood of Nicosia, traditionally known as the Armenian Quarter, where for decades Armenian Cypriots and Turkish Cypriots lived together until the early 1960’s. 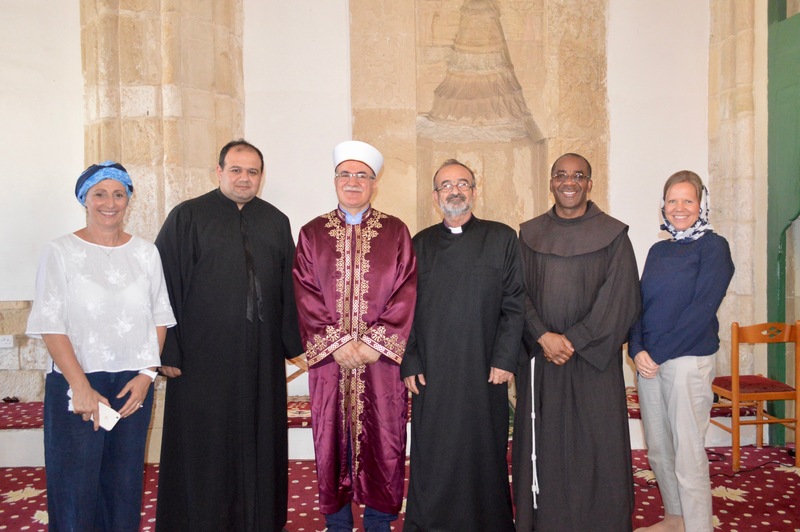 Accompanying the delegation were Imam Shakir Alemdar of Hala Sultan Tekke, Father Momig Habeshian of Nicosia and Salpy Eskidjian, Executive Coordinator of the RTCYPP. The Lusignan King of Cyprus Henry II built the Church in 1308-1310 where an older 12th century Benedictine abbey once stood. It came under the Armenian Church in 1504. In 1570 the Church and surrounding buildings of the former abbey was used to store salt and was given back to the Armenians together with the surrounding area with a firman (edict) issued in 1571 by Sultan Selim II. Another firman from 1614 also confirmed the Armenian ownership of the Church. Over time the Church underwent various changes. It was restored in 1688, 1884 and 1904. The Armenian Church Prelature, the Melikian-Ouzounian Elementary School and Kindergarten were located on the grounds of the Church and used as such until the 1963 inter-communal conflict in Cyprus. The Church and surrounding buildings remained non-operational and suffered great deterioration until 2007 when the UNDP-ACT began working on its preservation and restoration with the financial support of USAID. The renovation was completed in 2013 and won the Europa Nostra Award for Cultural Heritage in 2015. With the facilitation and assistance of the Office of RTCYPP the church was opened for the first time in May 2014 with the full support of the Mufti of Cyprus and the Board and General Director of Evqaf and attended by all the religious leaders of Cyprus in person or through their representatives, including the Head of UNFICYP and UN SRSG and members of the diplomatic corps. Since the church was re-opened, liturgies were held two times in 2014 and 2015 respectively. 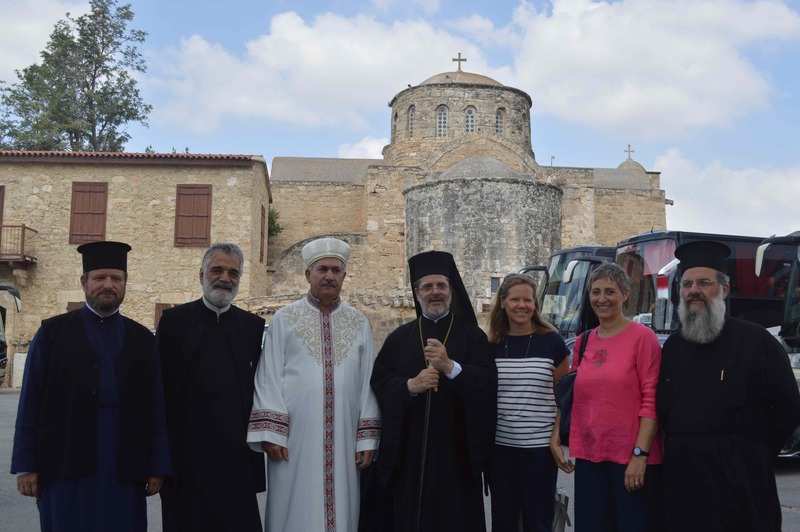 The Ambassador of Sweden, Anna Olsson Vrang and the Office of RTCYPP co-hosted the first meeting for all Resident ambassadors and Heads of international organizations with the five religious leaders of Cyprus. The main purpose was to introduce the joint peacebuilding efforts of the religious leaders of Cyprus, known as the Religious Track of the Cyprus Peace Process that is under the Auspices of the Embassy of Sweden. The meeting took place on March 1, 2018 at the Swedish Residence in Nicosia. The gathering was the first formal joint meeting of the religious leaders of Cyprus since the beginning of the New Year who reiterated their appreciation to the Embassy of Sweden and the Office of the RTCYPP for the support, facilitation and coordination of their efforts. The meeting was a unique opportunity to share their commitment, concerns and priorities with the whole of the diplomatic community and representatives of UN and EU institutions in Cyprus. All religious leaders reaffirmed their commitment to continue their dialogue and cooperation with one another building bridges of trust and advocating jointly for religious freedom. In addition all reiterated their moral responsibility to work together to keep hope alive, heal memories, restore justice and promote reconciliation. Responding to the request of the religious leaders, Ambassador Anna Olsson Vrang announced that the Embassy of Sweden would host such gatherings annually. Salpy Eskidjian Weiderud, Director of the Office of RTCYPP and Executive Coordinator of the religious leaders dialogue in Cyprus will follow up on the recommendations and suggestions of the meeting as agreed with the religious leaders of Cyprus. 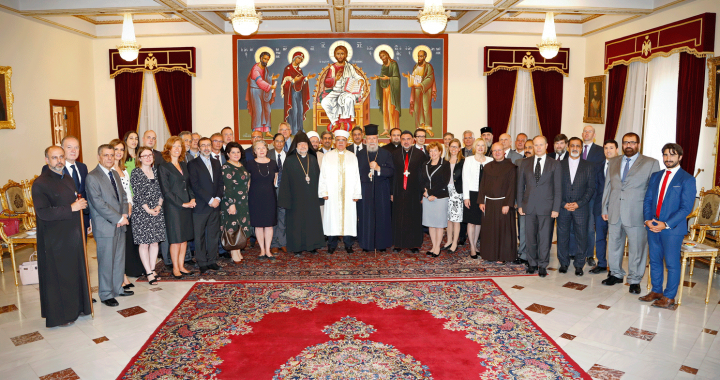 All religious leaders and members of the diplomatic community congratulated HB Archbishop Chrysostomos II on his 40th Anniversary for his Archhierchical service to the Church of Cyprus.